[News from the News Center] The spring is back and everything in the nature is growing. 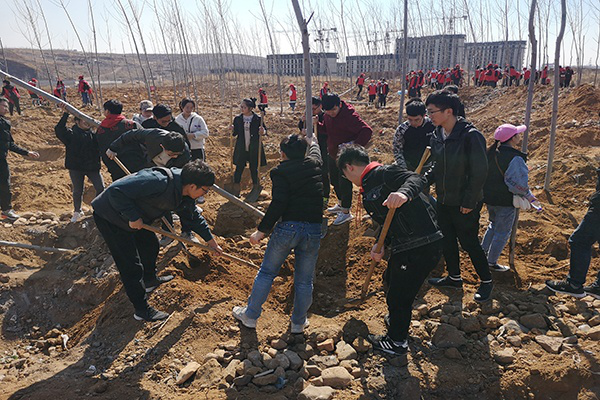 In response to the call of Qinhuangdao City’s Tree Planting activity, the Communist Youth League of YSU Committee recently organized 40 student volunteers to participate in the voluntary tree planting base in Qinhuangdao City, Xushankou Village, Duzhuang Town, Haigang District. At the event, the YSU volunteers worked with enthusiasm, and after the whole morning, the volunteers successfully completed 200 tree planting tasks. Every volunteer was happy with their work. 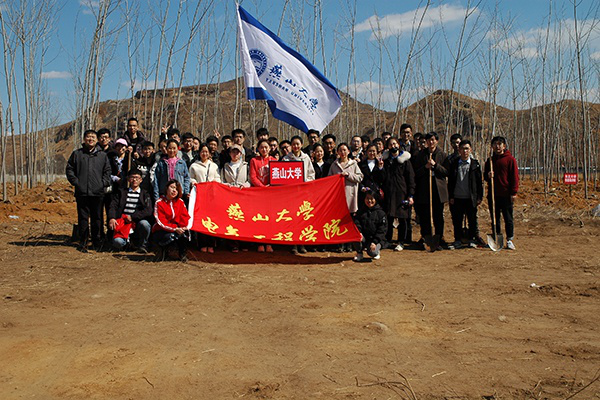 The tree planting activity fully demonstrated YSU volunteers’ work. This activity had enhanced the students' awareness of protecting the ecological environment and building a beautiful home. The teachers and students who participated in the activity said that they were happy to contribute to protecting the environment.